Drywall (also known as plasterboard, wallboard, gypsum board, or LAGYP) is a panel made of gypsum plaster pressed between two thick sheets of paper. It is used to make interior walls and ceilings. Drywall construction became prevalent as a speedier alternative to traditional lath and plaster. Premiere Refurbishments can help with any Dry Lining requirements. 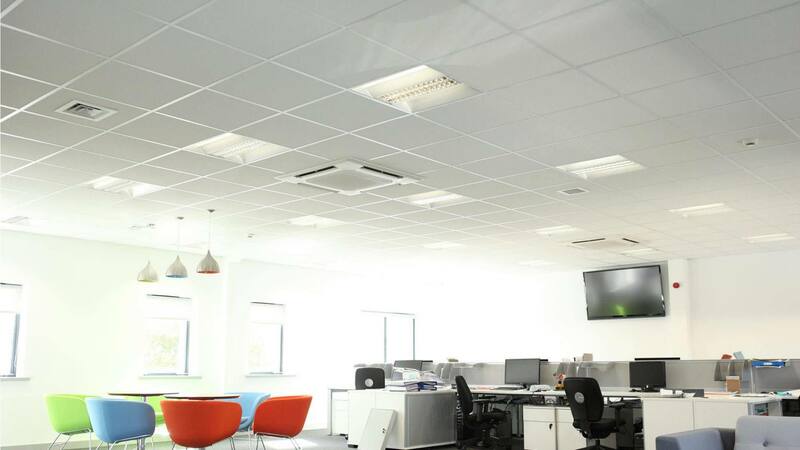 Premiere Refurbishments have had over 20 year’s experience in all ceiling requirements. We can help you. 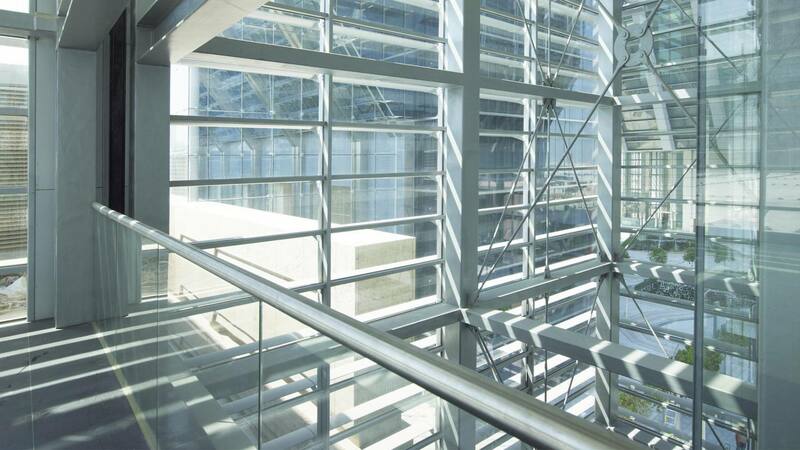 Maximise your light and space, inside and out, with our bespoke glass balustrades and glass floors. 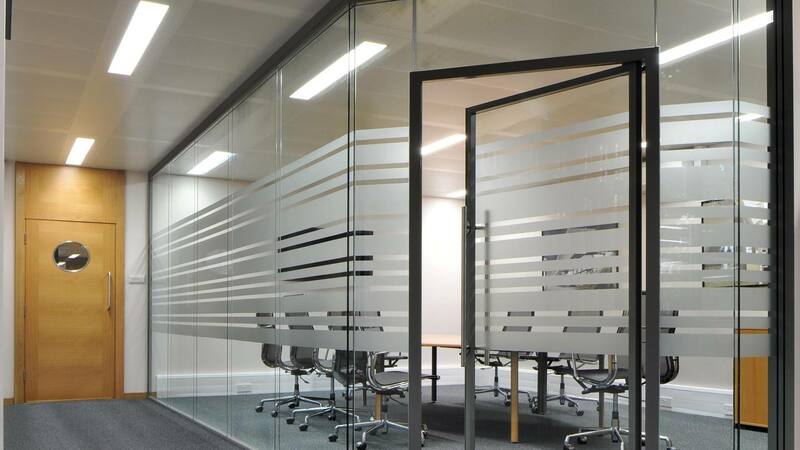 Whatever a building or refurbishment project demands, from straightforward sound or vision screening to a complex multi-functional specification, we can find a solution tailored for any purpose. 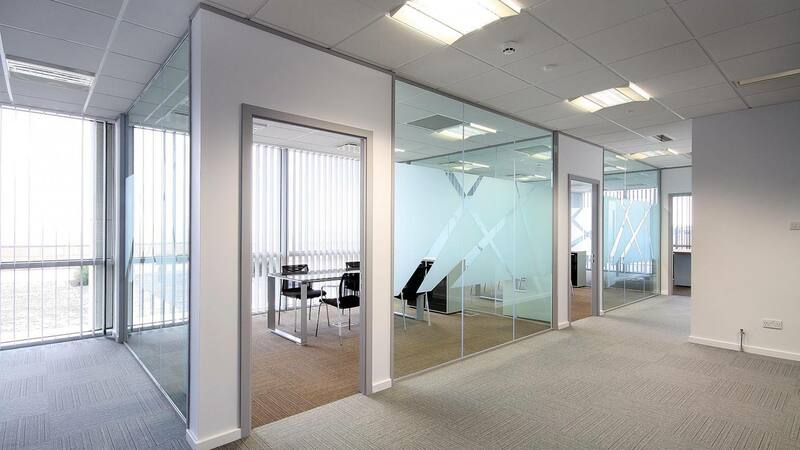 Premiere Refurbishments can help with any Office Partitioning requirements. 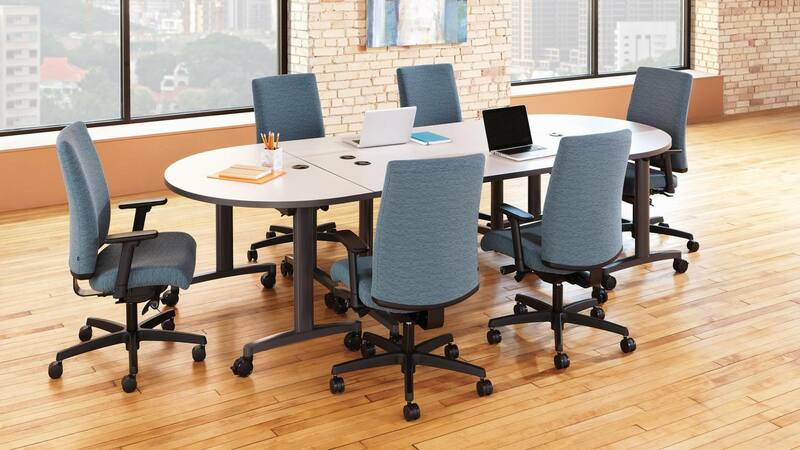 Choosing the right storage solutions, desks and chairs for your work area can be a daunting task. At Premiere Refurbishments, we appreciate this fact, which is why we don’t go in for the hard sell. 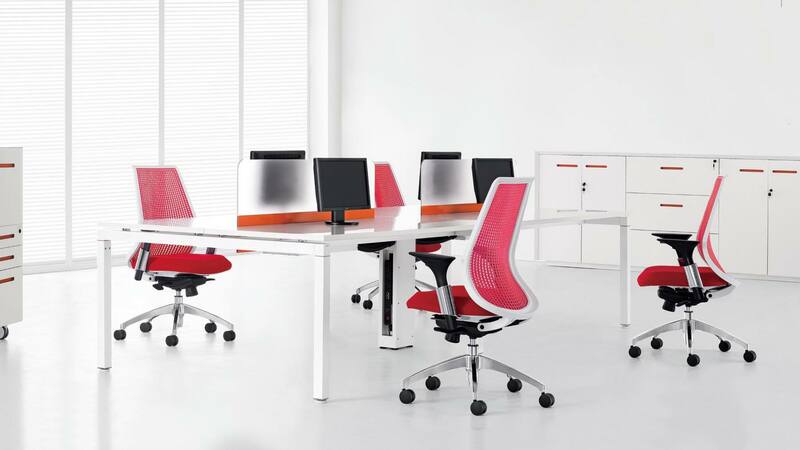 Instead, our knowledgeable and friendly team offer no-pressure advice and free consultations to help ensure you’re able to make the best choices for your workspace. 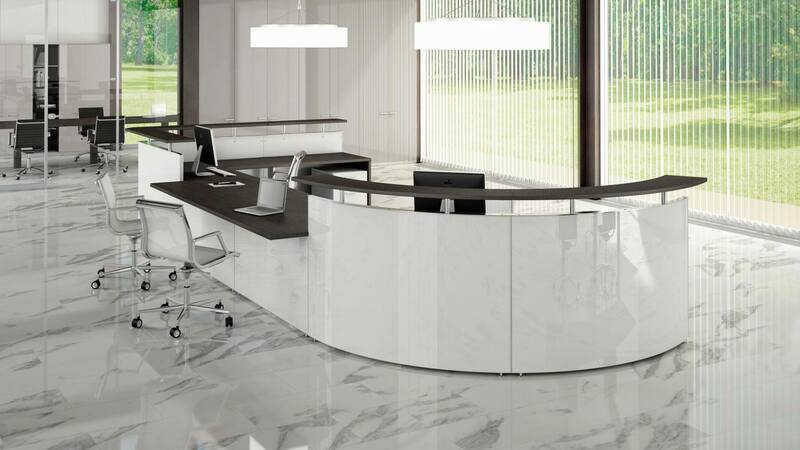 Premiere Refurbishments provide an extensive range of modern reception desks are available in a wide choice of sizes and contemporary finishes. 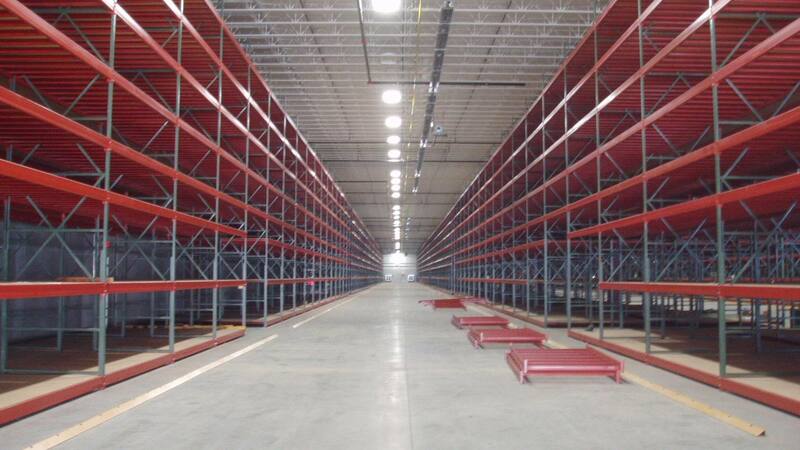 Mezzanine floors have the ability to solve space issues that affect the efficiency and productivity of a business. A very common issue that commercial buildings with high open roof space face is the lack of office accommodation or lack of appropriate office accommodation. 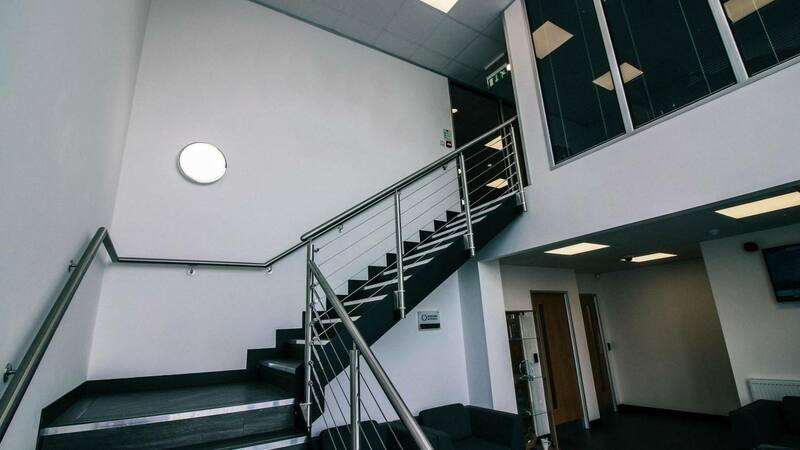 A mezzanine floor can solve these problems by offering suitable office accommodation for your needs whilst at the same time maximising floor space, allowing your business to expand within its original environment. Premiere Refurbishments have years of experience providing specialist bespoke warehouse storage solutions to hundreds of differing clients and are proud to have worked with many of the leading global brands. 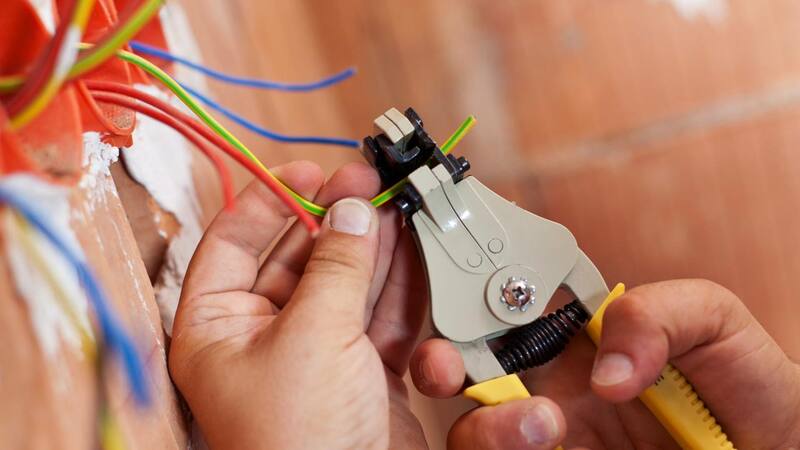 Whatever your requirements we can provide a cost-effective solution to suit your requirements and to maximise your return on investment. 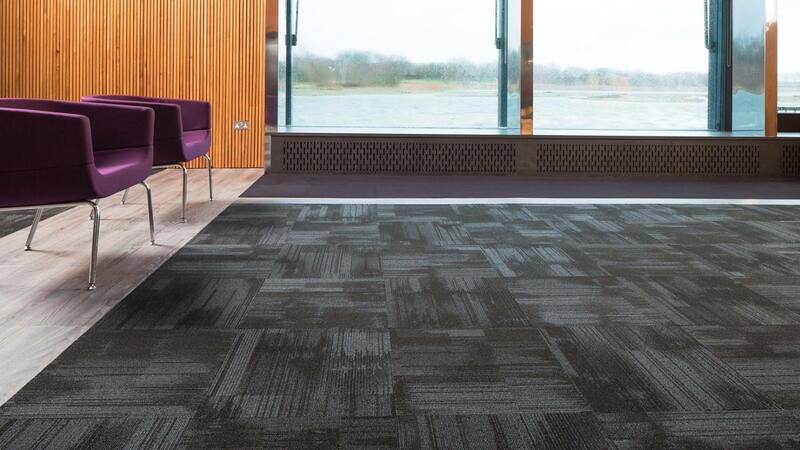 Floor coverings are no longer regarded as a necessity to merely keep the office floor warm but are an integral part of todays modern office relaying your company’s identity and agenda. It’s a great way to add colour and design to an area whilst segregating designated areas or walkways from one another without unnecessary expense. Premiere Refurbishments supply and install all types of floor coverings ranging from Carpet tiles, performance barrier systems, laminate, safety flooring to designer vinyl floor sheeting or tiles.